The two brothers, Qaisar and Amoon Ayub, were accused in 2011 of posting material offensive to Islam on their website, and subsequently sent to the Jhelum prison in Lahore in 2015. Qaisar testified that he had shut down the offending website in 2009 but that a Muslim acquaintance of his, Shahryar Gill, had resurrected the site keeping the copyright in Qaisar’s name. 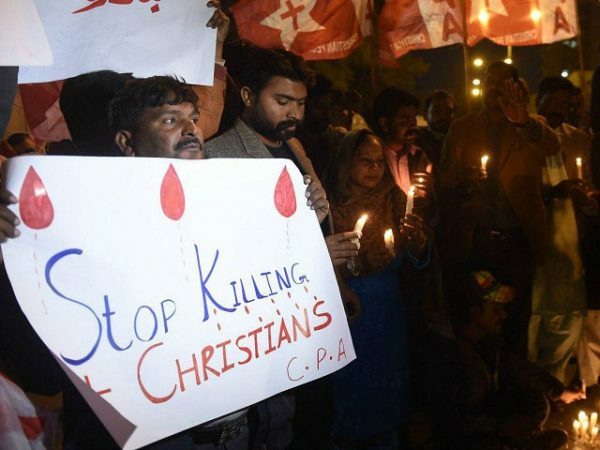 The Center for Legal Aid, Assistance and Settlement (CLAAS), an interfaith organization that offers free legal support to victims of religious intolerance, is representing the brothers and announced that it will appeal the sentence to the Lahore High Court as soon as possible. According to Nasir Saeed, the UK director of CLAAS, the accusation of blasphemy often triggers a violent reaction from Islamic radicals, which often involves threats to judges, upsetting the judicial process. “Because of the threats of the fundamentalists, lower courts pass the responsibility to the High Courts and these take years to prove the innocence of the accused. This is what we saw with the recent case of Asia Bibi,” Saeed said. “I am afraid now Qaisir and Amoon will have to wait years to get justice,” Saeed added. According to Pakistan’s blasphemy laws, insulting the Prophet Muhammad is a crime punishable by death, while disrespecting the ‎Quran incurs life imprisonment. The death sentence of Qaisar and Amoon Ayub comes hard on the heels of the October acquittal of Asia Bibi, Pakistan’s most famous blasphemy case. Pakistan’s Supreme Court overturned the death sentence imposed on the Christian Asia Bibi in 2010, calling the accusations of blasphemy against her “nothing short of concoction incarnate,” while saying that the complainants had insulted Islam by fabricating charges. Asia Bibi had recently completed her ninth year in jail for her Christian faith after being arrested for blasphemy in 2009 and sentenced to death by hanging in 2010. The accusations followed on a dispute between Bibi and a group of Muslim coworkers. She had been harvesting berries in a field with a group of Muslim women who grew angry with her for drinking out of the same metal water bowl as them, insisting that as a Christian she was unclean. Bibi currently remains under high security in an undisclosed location in Pakistan for fear of Muslim radicals who want her killed.